Let me begin by warning you- This is the second book of a series, beware of spoilers. 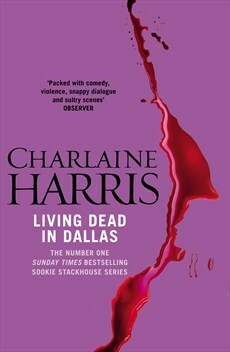 It’s been at least 5 years since I first read the first book in the Sookie Stackhouse series but finally getting onto this one has been a pleasure. I don’t believe I appreciated these books enough 5 years ago; I’m kind of glad I left it now as I believe I can appreciate these books more with age. Harris’ characters are strong and her dialogue witty and its so easy to glide through page after page, totally immersed in the world of Bon Tempe. Even if you’ve seen the tv series- which I have recently devoured (hehehe)- the books are just different enough that it doesn’t feel old. The differences between the tv series and the books at first jarred me immensely, but I quickly forgot these differences and they became permissible. It’s hard to hate Harris’ work. The style of these books is a more grittier take than the more upbeat style chosen by the screenwriters but I think that’s what makes these books work. Definitely a member of the adult genre, it’s probably best to remember that the series is rated R for a reason. The sultry scenes are done well and tasteful and so tantalizing that you find yourself wishing for more. Against the series, the book probably wins in terms of the way the naughty stuff is done. Being more of a Bill fan, I enjoyed this book immeasurably – this book was packed with Bill (Suuuuooookkkkiieee) but the book definitely fluffs out Eric’s character. While Eric is not as present in this book as he is in season 2, I can’t bring myself to mind. Godfrey is like 100 times scarier and Harris does not present him as the tortured romantic creature at all. This pleased me greatly. Not sure if there are others like me, but sometimes I get tired of authors painting vampire characters as redeemable. Harris certainly doesnt and its a releif to have vampires who are bad to the core and have humans the same. The Fellowship of the Sun is presented as the nut-jobs that they are and it was amazing to see the parallels Harris draws between the two species. It’s amazing how much content and plot Harris can pack into such a little book, and the plot moves refreshingly fast, barely snagging on difficult plot circles. If you are looking for a quick, entertaining read, this is your series. It only takes a couple of hours and you’re done. The problem I was faced with in the case of this book was, once you give a ‘favourite’ status to an author, your expectations of their work becomes slightly ridiculous. Rowell made me fall in love in Fangirl, so when I ran to the book store to grab this book not long after reading, its safe to say my expectations for this book were monumental. Unfortunately, I was left slightly disappointed. I was left slightly adrift with this book. I’m giving this book 3 stars. In most aspects, this book did not let me down; Rowell is a masterful storyteller and her style and control over her plot and characters is remarkable and she makes the pages seem to just fly by. My main problem with this book? I just couldn’t connect with the characters. 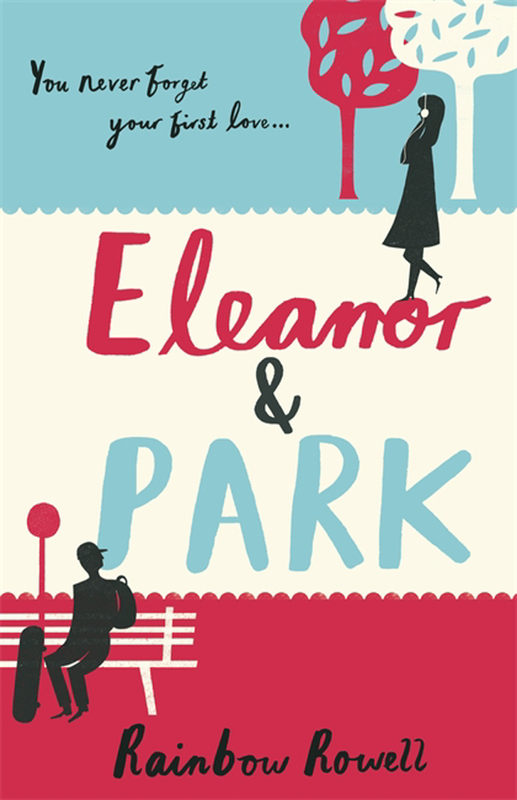 I loved the plot, premise, story development and other things, it’s just that Eleanor and Park (both) felt gulfs away from me. I don’t necessarily think it was to do with the time setting – the 80’s was the perfect place to set this story and its so rare that this decade is chosen that it was refreshing- but more to do with the characters themselves. Eleanor seemed flat and dull and I get she wasn’t supposed to be a character immediately likable, I understand what Rowell’s trying to do, but I don’t think she (Eleanor) quite reaches the level she needs to. Once I realized, after 100-200 pages or so, that I would simply never collect with Eleanor, I gave up hope of connecting with Park too. Which is a shame because Park himself, held a lot of promise. It’s rare that we get such a racially diverse couple as the protagonists in a story like this, but this book seemed like an empty promise of their relationship. Because I didn’t really care for these characters, I found it hard to care when their relationship had problems and ultimately failed. I was more relieved that the story was wrapping up which I feel terrible for saying but honestly feel is the case. Rowell is ultimately tackling subjects that most authors shy away from, which is a great part of why I admire her so much. She doesn’t make glamorous characters or stereotypes. She creates characters you connect with. I just didn’t this time. I honestly think that this book is just a case of a good author having a bad day. My feelings are the same about Looking For Alaska; good author just a misfire of a book. Which is a shame because I really wanted to like this story. I wanted it to be a perfect flow on from “Fangirl”. I wanted to be swept away. I was left punctured to the earth. Now I’m kind of alone in this opinion, a lot of people love this story and hold it as their favourite Rowell work. You may very well love this book and I greatly encourage you to read it because even if you don’t end up liking it, this book is still a worthwhile read. Synopsis: When Nadia’s family moves to Captive’s Sound, she instantly realizes there’s more to it than meets the eye. 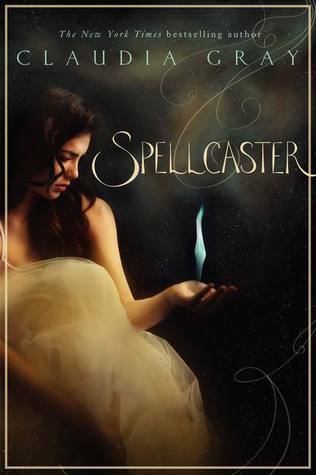 Descended from witches, Nadia senses a dark and powerful magic at work in her new town. Mateo has lived in Captive’s Sound his entire life, trying to dodge the local legend that his family is cursed – and that curse will cause him to believe he’s seeing the future … until it drives him mad. When the strange dreams Mateo has been having of rescuing a beautiful girl—Nadia—from a car accident come true, he knows he’s doomed. Despite the forces pulling them apart, Nadia and Mateo must work together to break the chains of his family’s terrible curse, and to prevent a disaster that threatens the lives of everyone around them. This book left a lot wanting and I am thoroughly disappointed on the wasted hours I spent reading it. In a way i’m kind of proud of myself that I read this to the end. I held some hope that the final chapters may miraculously get better but they didn’t. They certainly did not. I’ve never been this wholly let down by a book since the Great Gatsby in High School. I’ve heard great things about Claudia Gray’s writing for years and always meant to try her work. Quite a few months ago, I was looking for new books to read and picked this one up on a sale and then promptly forgot about it until earlier this week. I decided to give it ago and really wish I hadn’t. The promise the story held was far outweighed by poor execution, dreary narration and such lackluster characters that it doesn’t seem like Gray put in any effort at all when writing this. This whole story seems forced. I wish Gray just scrapped the whole thing and started again. New characters, new style of narration, everything but the basic, basic plot. Because that basic plot is why I picked up the book; I wanted to know about a town cursed by an evil magic that was destroying it from the inside. THAT is why I gritted my teeth so tightly I heard my jaw creak, and read through to the miserable end. There were multiple times during this book where I was tempted to just throw it away. I guess I just wanted to prove to myself that I had a high pain threshold. I feel the need to go cleanse my mind with Jane Austen now to recover. The sole character who had a stomach in this story was Cole, the main characters little brother. In fact, the story told from Cole’s point of view would have been infinitely better. But alas. If anyone reads this review? please dear god tread carefully and reconsider this book. I desperately wanted to enjoy this book. 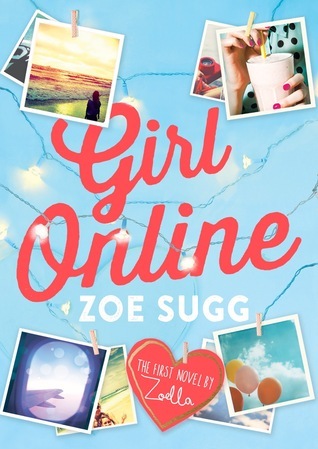 As a more recent Zoella watcher, I had began to watch more of her videos in the lead up to purchasing this book. As an avid youtuber watcher for many many years, I’ve always tried hard to support the external ventures of the members of team internet, and when I discovered Zoe had written a book, I was keen to give her the support that I could. To be fair, I went into this book with extremely high expectations. Now one shouldn’t have high expectations as Sugg is not a writer by trade, but she’s so good at the other things that she does, its easy to fall into a trap. But, in Sugg’s defense, for a person new to the writing world, she actually did an ok job. I’ve read books by ‘professional’ writers that were worse. The story is cute, but a little passe. In some area’s Sugg’s writing seems naive and childish while other areas are strong and punchy. This maybe due to the fact that there were different authors helping her write the story and it was just the collision of different styles and voices, or maybe because of hurried editing. This story didn’t feel polished at all. But this is probably less Sugg’s fault and more due to poor management. If you can turn your brain off while reading, and don’t mind the cheesiness of the overused trope awkward girl-life unfair-meets hot boy- falls in love- drama- happy ending than this is the book for you. The characters seem slightly shallow and it feels like the team didn’t work hard enough on developing the characters. Penny is slightly 2D and I’m sure I would be safe in arguing that Elliot was by far the most interesting character. The ending for me was just too sickeningly sweet and too neat. Relationships like Penny and Noah’s simply don’t happen and there is no way I would forgive Noah for his secret (trying to avoid spoilers). It’s slightly ridiculous how quickly the two fall in love. This book may probably appeal to younger teenagers who are still new to areas of YA and still like stories with easy cheesy romance. Thats clearly Sugg’s targeted audience as a lot of her references to teenage life were lost on me. As a practical 21 year old, I was clearly out of Sugg’s demographic. Should you read this? Probably not unless you’re below the age of 14 or a really, really dedicated Zoella fan. If you’re curious, try borrowing a copy from a friend or getting it out from a library just in case its not your cup of tea. You know how sometimes you open up a book on the first page and just simply know? It’s a rare magical unicorn of a book, but Fangirl had me hooked right from the beginning. I started off my reading quest for 2015 with perhaps one of the most delightful books I have had the privilege to read. I needed something to read on the train on Boxing Day and started this book. Sure, I technically started this book pre-2015, but I finished it on January 6th after trying to ration out the book so I wouldn’t rush through it. This was a Christmas present from my mum, who had been rather bemused when she ended up giving it to me. “Where did you see this book again Ashleigh?” she had asked, as I sat stroking the mint green cover with admiration. “Online,” I had replied, not quite confident enough to tell my mum I had seen glowing praise for it on Tumblr and decided that I had to have it. It’s rare that you can truly empathise with a character; the sense of belonging that you rarely find with a character so similar to you is a gift, and that’s the feeling I got when Rowell introduced Cath. 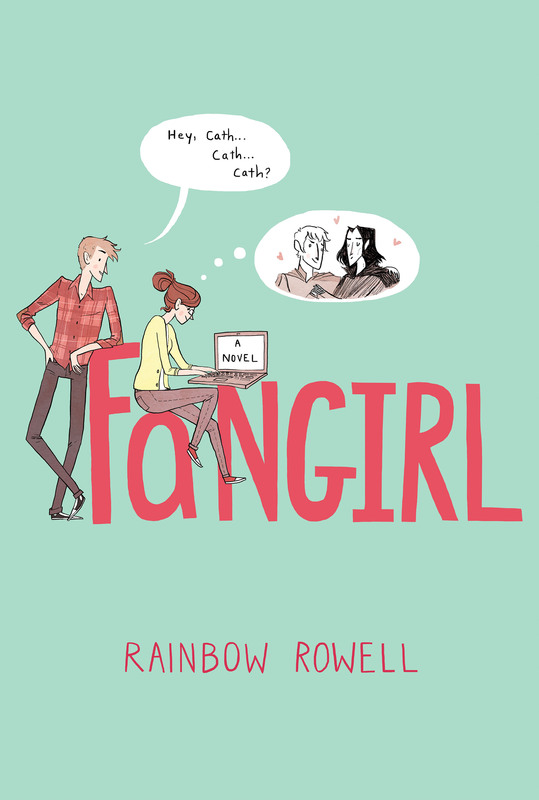 Rowell understood the magical world of being a fan girl more than any other adult I had come across. She didn’t present cath as a mockery; she presented Cath as a human being who had a perfectly justifiable obsession with her pop culture of choice and that means more than you can imagine. Cath’s a fan fiction writer for her beloved Simon Snow books, which have a startling similarity to J.K Rowling’s Harry Potter series, but are different enough that you can appreciate the respectful nod Rowell gives to Rowling. Rowell successfully navigates the tricky but addictive world of fan fiction and its so easy to see Rowell as one of ‘us’ that its shocking. “Carry on”, which is woven throughout the novel and runs perpendicular to Cath’s real life, is an integral part to the story and the reader becomes as invested in this fan fiction as if they were Cath’s readers. I was overjoyed to discover that Rowell intends on publishing Carry On as it’s own book later this year. There was not one character in this book that I hated which is rare, especially in YA fiction. You can’t help but love each character Rowell presents, even if they are a douche bag. Each character is complex and well developed, even if you only see them in snippets. With not one Mary (or Gary) Sue, the characters have flaws and admit to them which is what really sets this book apart from the rest of YA fiction. So, let’s talk about Levi (please dear god someone needs to discuss Levi with me before I combust) who is the “love interest” of the novel. Levi is such a breath of fresh air from the usual jerks who fill the pages of YA novels. Cath makes no sickening soliloquies of his hotness or anything of the sort, and we as readers see why Cath likes him from the way they interact. Levi has the opportunity to prove himself as the love interest, which is exactly the way YA fiction should be. Levi is the perfect example of what young girls should be looking for instead of the toxic bad boy (don’t get me wrong, if done right they’re interesting to read about, but realistically should be avoided like the plague). Its impossible not to like Levi and respecting him for the way he treats Cath. He never pushes himself onto her, he looks after her when she needs him to but lets her act as her own person. Let’s just give Rowell an enthusiastic round of Applause. Rowell’s writing style is also to be commended. The book moves at the right pace and the plot is well crafted from the get go. While not extremely descriptive, Rowell creates such a strong picture of events that everything becomes vivid in front of your eyes. Simple, but extremely effective, Rowell’s style of writing is one that I have later come to admire in her other works as well as this one. I give this book 4.5 stars. Recommended? Highly. Does it make it on my favourite book list? Hell Yes!